Bunnahabhain was founded in 1881. It was therefore still a new venture when visited by the author Alfred Barnard when he was researching his definitive book on distilleries in 1886. One of Alfred’s many observations of this young distillery was that, “Nothing but peat is used in the kilns, which is dug in the district and is of exceptionally fine quality.” This, however, is a stark contrast to the gentle Bunnahabhain of today. Now, over a century and a quarter later, Toiteach (pronounced ‘toe-chack’) has been created in honor of Bunnahabhain’s origins, that long-lost style of peated Bunnahabhain single malt scotch whisky. In keeping with its heritage, Toiteach uses the same pure, natural spring water source, the Margadale spring, that has run clear for over a 100 years, and Bunnahabhain is the only distillery on Islay to do so. Toiteach is considered by whisky experts to be amongst the finest peated Islay Malts ever created, and is one of the most highly anticipated whisky releases by connoisseurs and collectors in theUnited States. 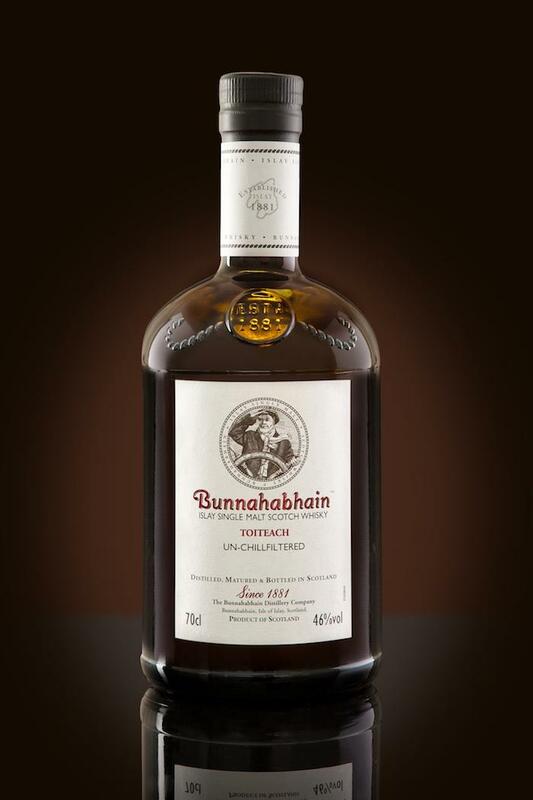 It is a very small production, with limited availability, but as with all Bunnahabhain Single Malt Whisky, Toiteach is un-chill filtered, and contains no added coloring, purely the way whisky should be. 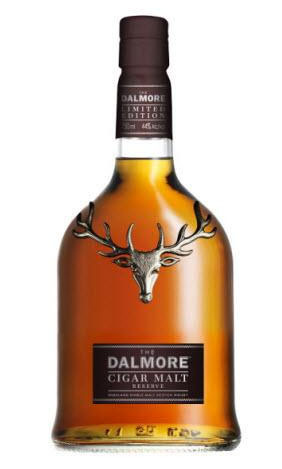 The nose has a charming subtle peatiness with prickling strength emanating from the dram. The taste has immediate warming flavours drifting towards a slightly sweet sherry influence with delicate peppery notes. The finish has a good robust length with an extremely pleasant aftertaste – beautifully peated Bunnahabhain single malt for the discerning palate. Should Remy Cointreau snare Bruichladdich in the coming weeks, as seems likely, the purists in the Scotch whisky category will, as is their wont, be up in arms over the sale. Nothing fires the imagination, after all, than the re-emergence of a lost distillery with enthusiasts holding the reins. And, if you want those fires rekindled, have a read of this marvellous piece on Bruichladdich by Andrew Jefford back in 2001. Jefford details the purchase of the distillery in Islay, just down the road from sleepy Port Charlotte and overlooking the “dolphin-lively waters of the great sea bay called Loch Indaal”, in late-2000 by Murray McDavid, a malt bottling business set up by two London wine merchants and a member of the family that owned whisky distiller Springbank. The group, led by Mark Reynier, secured funding to buy the facility – and its stocks – for GBP6.5m (US$10.1m) at the turn of the century. Much has since been made of the new owner’s approach to the multi-national drinks giants also operating in Scotch whisky. Reynier, who still heads up Bruichladdich, has ploughed an aggressive furrow, targeting the likes of Diageo, the Scotch Whisky Association… you name it, really. This “stridently independent stance”, as one analyst put it this morning, might have polarised opinions within Scotch of the man, but what most agree on is that Bruichladdich has developed and maintained a unique place in the Scotch industry, and on Islay. The company has been at the fore-front of innovation: It claims to produce the world’s most heavily peated Scotch, Octomore, and, in 2010, tried its hand at a gin, The Botanist, which, despite its original limited release, is still available today. So, the purists may be aghast at today’s news. But, ask yourself this: if somebody came to you to buy what you have found to be “a rollercoaster, not just a financial rollercoaster; it’s been an emotional rollercoaster” since you bought it for US$10.1m 12 years ago, and offered you around US$52.8m, what would you do? The quality of Fite’s findings depend largely on the liquid level of the whiskey in the bottles, said Lew Bryson, managing editor of WhiskyAdvocate.com. If enough whiskey has evaporated, oxygen will enter the bottle and begin rusting the whiskey, and its “off flavors” will be concentrated in what remains, according to Bryson. “Unfortunately, the good stuff leaves first,” he said. 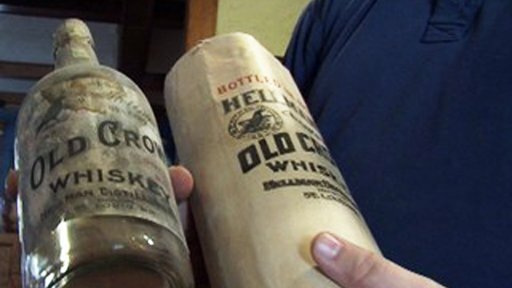 But unlike wine, in which yeast continues fermenting in the bottle, whiskey’s alcohol content is too high to support any organisms. As long as the cap or cork is secure enough not to let in much oxygen, the age of the bottle will not affect the quality or taste of its contents. Bryson said Fite could likely sell the bottles for several hundred dollars apiece. Pre-prohibition whiskeys are of historical interest, he said, adding that as a Pennsylvania rye enthusiast, he would be interested in buying one of Fite’s Guckenheimers. “You don’t know until you try to sell it,” he said. July 2012 – Guinness World Records™ has awarded The Macallan the accolade of ‘most expensive whisky sold at auction’. Now the definitive world record holder, The Macallan’s 64 Years Old in Lalique, Cire Perdue sold at auction for $460,000, with 100 percent of the proceeds benefitting charity: water, an organization that provides access to clean, safe drinking water to people in developing nations. 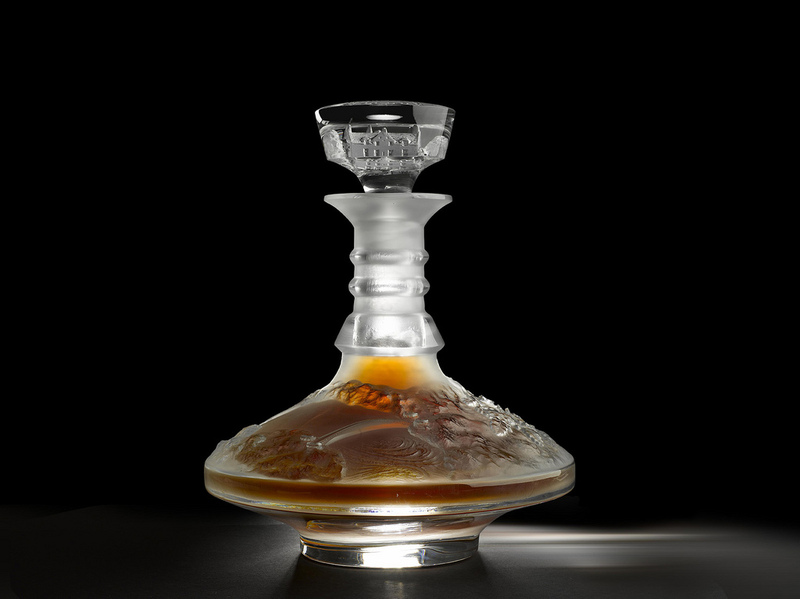 Coveted by bidders, the one-of-a kind Lalique crystal decanter housed the oldest and rarest Macallan ever bottled by the distillery, a 64 Years Old Single Malt whisky. The historic auction which took place at Sotheby’s in New York in November 2010 was the culmination of a 12-city “tour du monde” of the decanter. The Macallan and Lalique global fundraising tour raised more than $600,000 for charity: water to provide clean water to over 30,000 people (www.charitywater.org/themacallan).